Description: Namur. City and region. Decorative cartouche. Coloured. 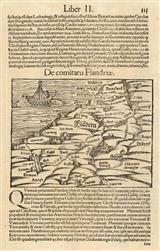 Description: Attractive map of Flanders after Mercator. Inset map of ancient Walcheren and its environs. Original colour. [Ort:77]. Description: Attractive map of Brabant, at this time a province of lower Germany. Geography taken from the maps of Jacob van Deventer. Extraordinary original colour. Description: Stunning map of Brabant, including Antwerp. Rich original colour. Description: Splendid Dutch Golden Age map of the historical County of Namur in Belgium. Latin descriptive text on verso. Original hand-colour. Description: Splendid Dutch Golden Age map of the Diocese of Liège. Latin descriptive text on verso. Original hand-colour. Description: Namur. Black and white miniatue Ortelius. Description: Flanders. Fine black and white engraving with inset arms and decorative ships. Description: Namur. General black and white map of region. Description: Northern Belgium and the Dutch province of Brabant on an east-west projection. Includes the cities of Brussels, Antwerp, and Ghent. Coloured. Description: Map of the Brabant with a strapwork border. Coloured. Description: Brabantia. Decorative cartouche. Coloured. Description: Antwerp, Brussels to Tienen and Harentals. Coloured. Description: Namur and Liege. Dinant to Maastricht. Original colour. Description: Limburg. Detailed map of the environs of modern Liege. Coloured.